A large majority of women with PCOS don’t even know they have it — despite the fact that it can affect a very large demographic of women. 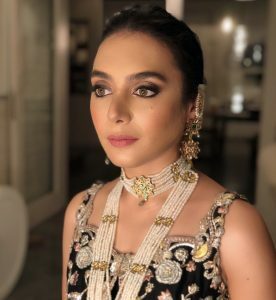 Among the women who manage to get diagnosed and receive treatment to manage the condition, there exists an unnecessary and damaging stigma about the syndrome. 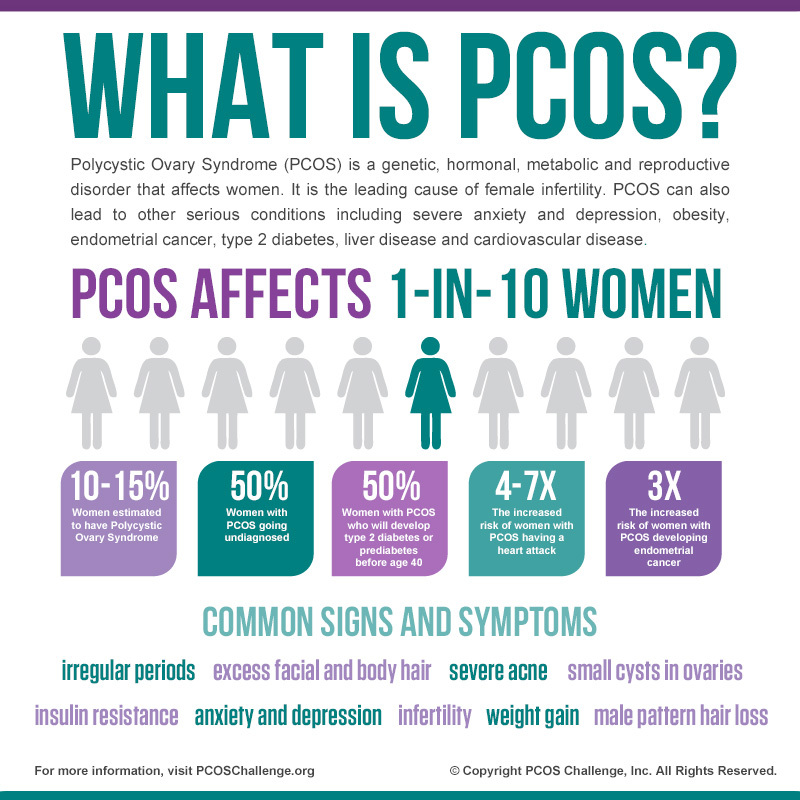 The common symptoms which come with PCOS aren’t always pretty either. From excessive hair growth and irregular periods to infertility, the toll it can have on a woman’s self-esteem and overall health is obvious. It’s time we talk about the common issues women share — in fact, 1 in 10 women worldwide have PCOS. We can’t help the way our bodies function, so we might as well get rid of any shame we carry with them. Let’s get started. If you experience very few to no periods at all, you should definitely schedule a doctors appointment to figure out why. This also goes for excessive bleeding while on your period. While this could be for dozens of different reasons, it’s also a sign of suffering from PCOS due to complications while ovulating. This is the sudden and excessive growth of hair in unwanted areas like the face, chest, or back, where previously there was no irregular growth. Hormonal changes can result in oilier skin, and more acne flare ups than usual. If you haven’t made any dietary or cosmetic changes recently, but are still experiencing persistent eruptions out of the blue, it might be rooted in volatile hormones. Migraines should always be a red flag — they’re always a sign of a deeper issue, whether that’s PCOS, stress, or anything else. Definitely head to your physician to have it checked out. You’ve more than likely heard of polycystic ovary syndrome, or know someone who has it. It’s become alarmingly common, but there’s still a whole bunch of misinformation which surrounds it. To break it down, polycystic ovary syndrome is a group of symptoms which affects the ovaries, and ovulation. 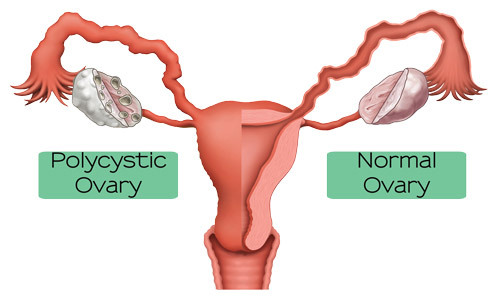 PCOS itself occurs due to an imbalance between the male and female hormones our body produces — our ovaries produce small amounts of male hormones which are called androgens, but in this case, the male hormones are released in excessive, higher than normal amounts, suppressing the effect of the female hormones in our bodies. This is the reason women with PCOS suffer inconstant menstrual cycles. It’s also why they struggle to produce matured eggs. While women produce many small eggs in both their ovaries every month, only one egg generally matures enough to be released from another ovary. 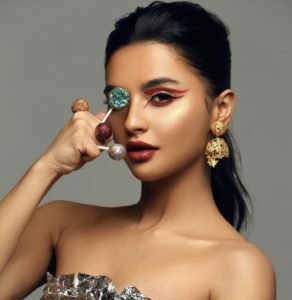 From there, it descends into the tubes which connect the ovaries to the uterus. However, if you’ve been diagnosed with PCOS, there will be many small fluid-filled cysts (essentially just tiny sacs) growing inside the ovaries. Why do people get PCOS? That’s the trickier question. 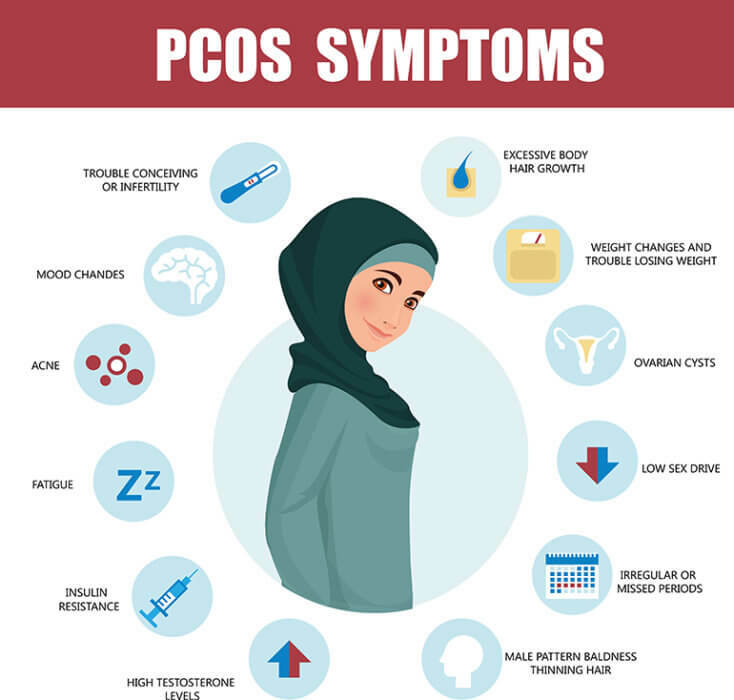 Doctors don’t know what exactly causes the syndrome, but they’ve narrowed down some contributing factors which present themselves in women who develop PCOS. First and foremost, our genes play a giant role. If the condition runs in your family, you’re much more likely to develop it yourself as well. Another factor is insulin resistance. This is a bit of a biology lesson, so bear with us. Insulin is a hormone produced by the pancreas to help regulate blood sugar levels. In some conditions, this doesn’t work the way it’s meant to, which results in our blood sugar rising to abnormal levels. 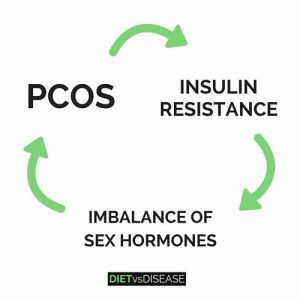 When this happens, the pancreas produces a surge of insulin to compensate, which is what triggers the ovaries to release an extra amount of the male hormones associated with PCOS. This is what creates the imbalance between the male and female hormones in our body. Hopefully, that’s cleared up a few misconceptions about what polycystic ovary syndrome actually is! What’s next is how to cure it — the short answer is: you can’t. At least, there’s no cure as of today. However, medical treatment can control the symptoms and help you manage them, which makes a world of difference. If left undiagnosed and untreated, there’s a whole host of complications which could potentially arise. To list a short few, type 2 diabetes, depression, high blood pressure, high cholesterol, and sleep apnea are all possible risks which come with untreated PCOS. Yikes! It’s not all bad though! There are a few lifestyle changes which every doctor recommends to ease things up. To begin with, make a good foods and bad foods list. This will keep you aware of what you should and shouldn’t be eating. Food high in fibre, and low in sugar like whole wheat bread, pasta, and brown rice should be your best friend. The bad food list without a doubt will be full of white bread, sugary snacks, soft drinks, desserts and processed foods. These foods are what cause spikes in your blood sugar, which is what you want to avoid. Beyond that, experts have said women suffering from PCOS would benefit ideally from 150 minutes of physical activity a week — that’s not much at all if you think about it. Little dietary and lifestyle changes like these don’t take much, and the rewards more than make up for the effort involved!